A systematic modeling study investigates the effects of cloud condensation nuclei (CCNs) on the evolution of mixed-phase deep convective storms. Following previous studies the environmental conditions like buoyancy and vertical wind shear are varied to simulate different storm types like ordinary single cells, multicells and supercells. In addition, the CCN characteristics are changed from maritime to continental conditions. 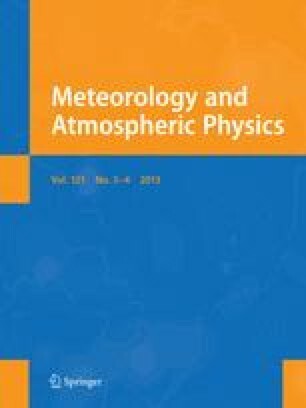 The results reveal very different effects of continentality on the cloud microphysics and dynamics of the different storms. While a negative feedback on total precipitation and maximum updraft velocity is found for ordinary single cells and supercell storms, a positive feedback exists for multicell cloud systems. The most important link between CCN properties, microphysics and dynamics is the release of latent heat of freezing.